Topics: Slideshows, and Reference Letters. 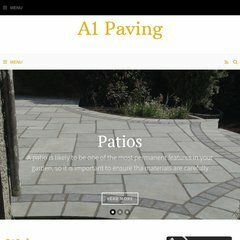 a1paving.ie Paving and Landscaping in Dublin, samples, prices, tarmacadam .. It is written for ASP.NET language. ns2.blacknight.com, and ns1.blacknight.com are its DNS Nameservers. It is hosted by Pem Virtual Windows Hosting Infrastructure Carlow, using Microsoft-IIS/6 web server. PING www. (81.17.250.70) 56(84) bytes of data.